Melodic and relaxing, with a flowing landscape of piano and keyboards, these four long tunes brings you into a world of profound tranquility. All music is originally made to meditations and is made in the "now". One of the tracks was made for a doctor who works with patients with pain problems. The meditation takes them down some stairs and open a door into a fantastic place where there is a lake. The meditation takes the listener into the water, which has a cleansing effect. This was the first CD of 11 and this is the only album without human voice, just piano and keyboards. Perfect for massage, meditation, visualization, healing, all kinds of theraphy and superior to unwind. 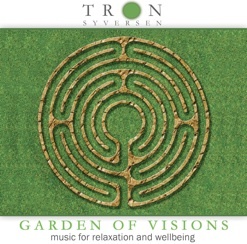 It was originally released by Fønix Musik in Denmark as "Music for Relaxation" and sold all over the world. Melodic and relaxing. With a flowing landscape of piano and keyboards, take these four long tunes you into a world of profound tranquility. Perfect for massage, meditation and visualization, and superior to unwind. Total Playing time 79:19 Piano end keyboards. Melodic and relaxing. With a flowing landscape of piano and keyboards, take these four long tunes you into a world of profound tranquility. Perfect for massage, meditation and visualization, and superior to unwind.